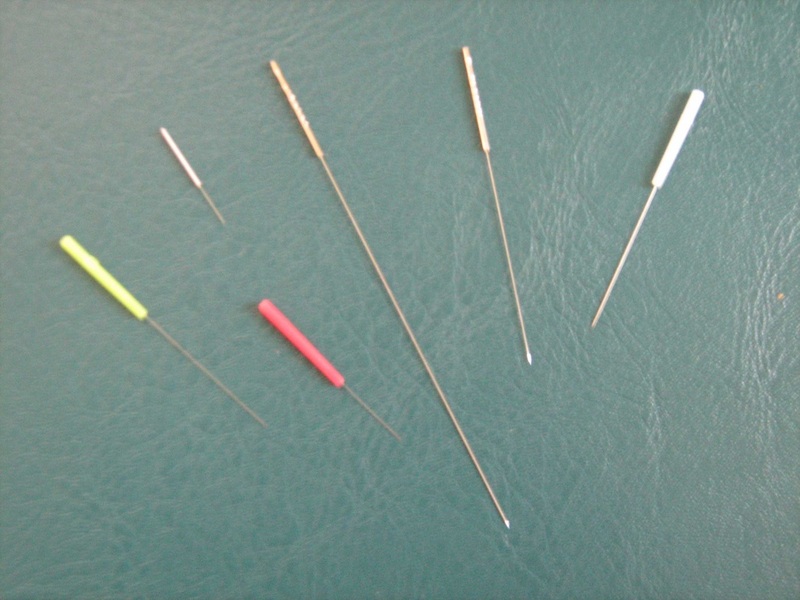 Acupuncture: Inserting hair thin sterilized stainless steel disposable needles into the body for the purpose of effecting the physical, mental, emotional or spiritual well-being of an individual. 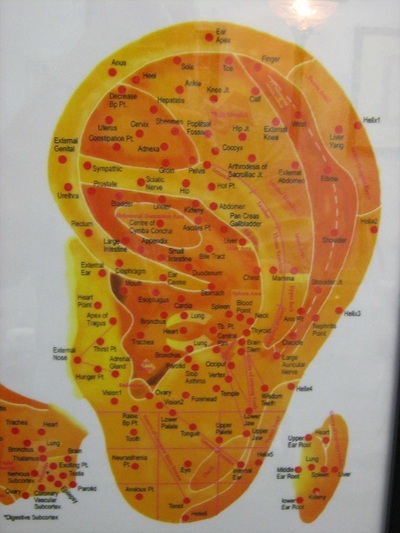 Acupuncture points are located on meridians in which Qi, Blood and fluid flow. Moxabustion: The technique of heating an acupuncture point by burning an herb on or over the point. Moxa opens the 12 meridians regulating Qi (energy) and blood, expelling cold and dampness which then warms the meridians. 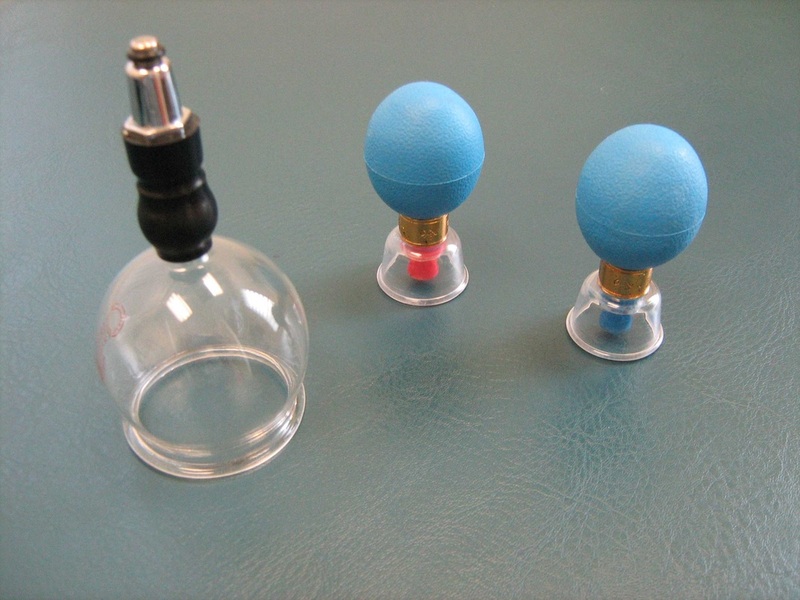 Cupping: The technique of inducing a vacuum in a glass or plastic vessel and placing it on the body for a therapeutic effect. 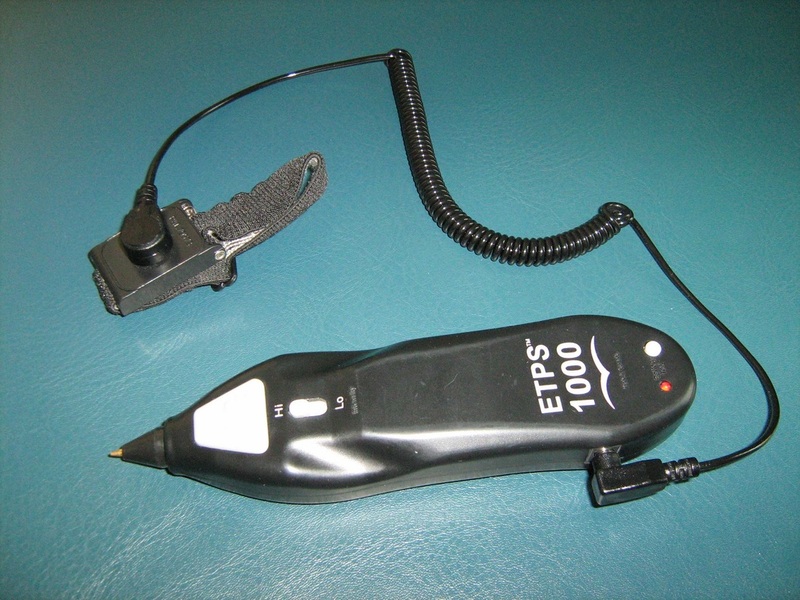 ETPS (Electro Therapeutic Point Stimulation): This non-invasive hand held device utilizes concentrated low frequency DC current to stimulate acupuncture/trigger and motor points, thus releases contracted muscle fibers and relieving pain. TDP Lamp: TDP is an acronym for "Teding Diancibo Pu" which loosely translated means special electromagnetic spectrum. The TDP mineral lamp is a therapeutic substitute for moxabustion, and is reported to be the only mechanical deivice that can add Qi (energy) to the body. The TDP lamp device features a plate coated with a mineral formation consisting of 33 elements, essential to the human body. The heat from the mineral plate stimulates micro-circulation, delivering higher levels of oxygen and nutrients to injured cells, while eliminating toxins and cellular waste. This begins the healing process. 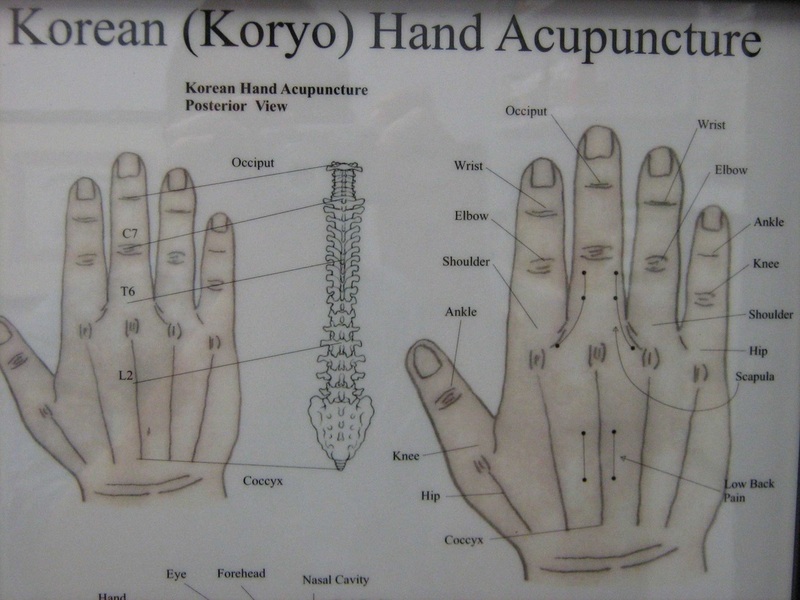 KHT (Korean Hand Therapy): KHT is a micro-acupuncture and reflex system located on both hands. You could think of the hands as being a micro-universe of the entire body. Through the hands you can access information about the condition of your body systems. 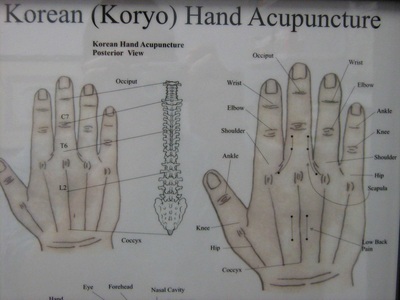 With this information you can then create treatment strategies which you apply through your hands. Akabane: A technique developed by Dr. Akabane for measuring the imbalances in the Channels and then bringing them into balance. 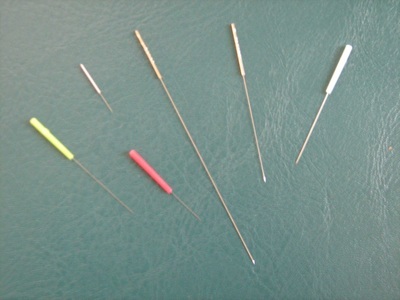 This is also a non-needle technique. TUI NA: An Oriental Bodywork Therapy that has been used in china for 2,000 years. Tuina methods include the use of hand techniques to massage the soft tissue (muscle and tendons) of the body, acupressure techniques to directly affect the flow of Qi. GUA SHA: (GUA "to scrape" , SHA "sand or shark skin") After lubrication of mix oils is applied to the skin, a polished plastic or jade stone is pressured in strokes to bring up SHA. 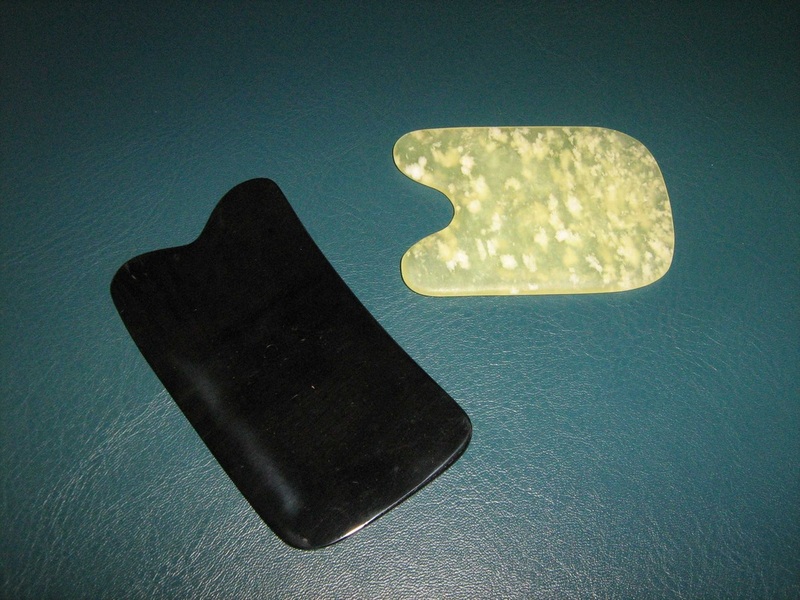 GUA SHA strokes produce small red petechiae that may darken as the SHA surfaces completely. The technique extravagates blood to metabolic waste congesting the surface tissues and muscles, promoting normal circulation and metabolic processes. Auricular (ear): The insertion of needles into acupuncture points in the ear that relate to specific parts of the body. Herbal seeds are placed on points on the ear so that they can be pushed on through out the day to continue the treatment. 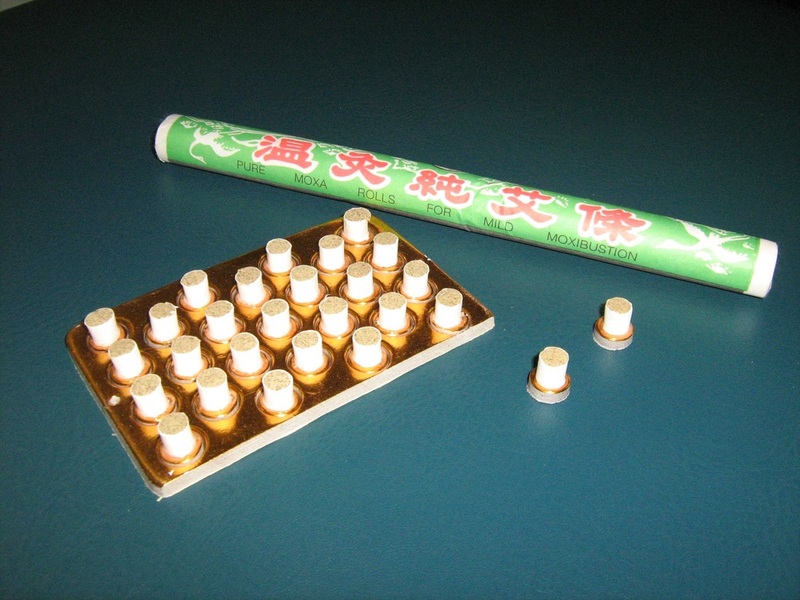 It has been used successfully in the treatment of addiction, whether to drugs, alcohol, food or tobacco. This is also used for the treatment of arthritis, asthma, indigestion, migraine, urinary problems and nervous disorders. 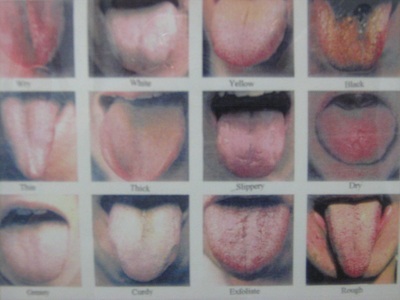 Tongue Diagnosis: The tongue represents a map of your internal body. We look at the shape, coat, color, moisture, and size to determine diagnostic methods in traditional Chinese medicine. Pulse Diagnosis: There are about 32 different pulses to describe the speed, rhythm, depth, regularity, and quality of your blood and energy flow. We check to see for deficiencies and excess patterns in the 12 meridians.